I just bought of piece of history – my own. 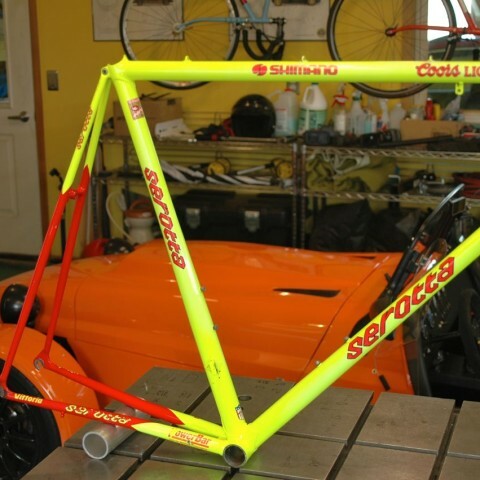 I recently stumbled on the opportunity to own a frame that I built back in my Serotta days for the Coors Light Professional cycling team and I couldn’t resist picking it up. The gentleman that owned it gave me a very good deal and was pleased that it was, in an indirect way, coming home. I spent 10 years working at Serotta and sadly don’t have a single bike I built during that time and this nicely corrects that issue. A big thank you to its previous caretaker for putting it in my hands. 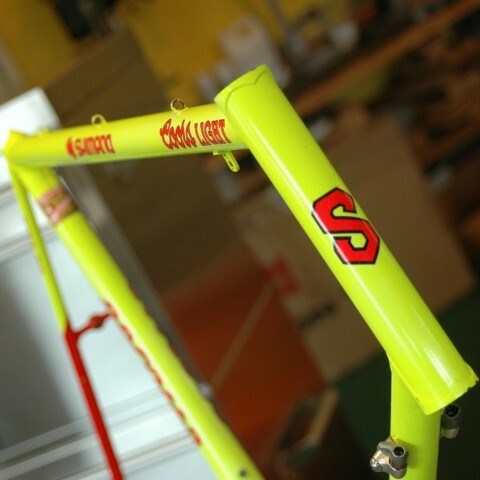 I believe this frame would have been built in 1990 based on the single bend chainstays and tubes used and it if course is sporting the seriously loud Coors Light paint scheme of the time. 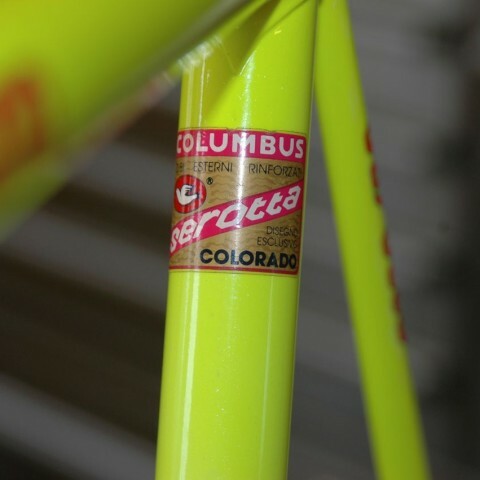 It’s built with Serotta tapered Colorado tubes and an oversize top tube that you can see is ½ lugged and ½ fillet brazed because lugs of the proper size didn’t exist at this point. Today folks like to call this “Bi-lam” construction but at the time it was done for the purely pragmatic reason that we needed to get the tubes hooked together and didn’t have the lugs to fit the oversize tubes. 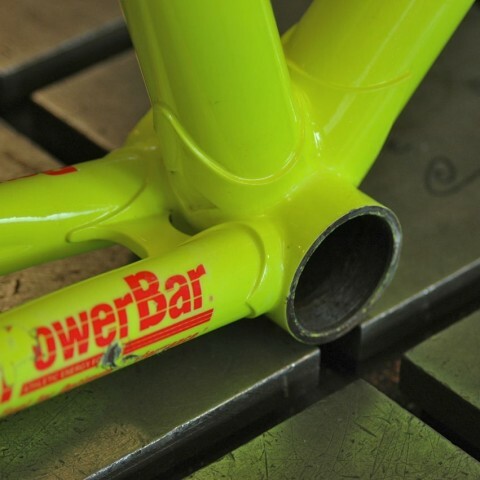 It came to me missing the original fork I built back in the day and while I want to build a new fork for it I feel that the fork crown needs to be just like the original. 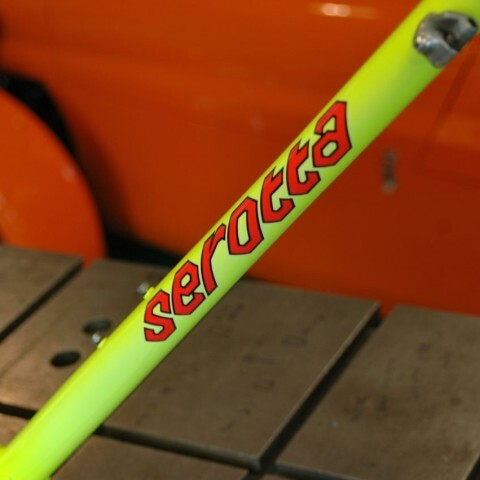 I sent a note to my old friend, and fellow Serotta classmate, Kelly Bedford and it turns out he has one of the originals sitting in a dusty box just waiting for a special use. Kelly was so kind in donating the crown to the cause and now I’ll be able to build a fork just as it would have been back in 1990. 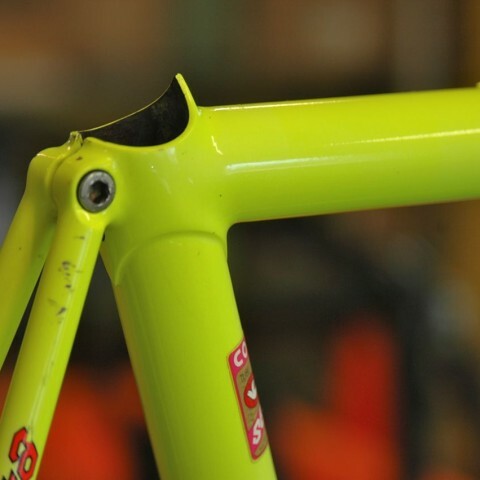 Once built the fork will go off to Joe Bell to have the color perfectly matched and then the search for period parts will start. I’ll be building it up over time with the idea of doing some historic rides like the Cino Heroica. It should be a fun winter project to get it on the road again. Should be fun. 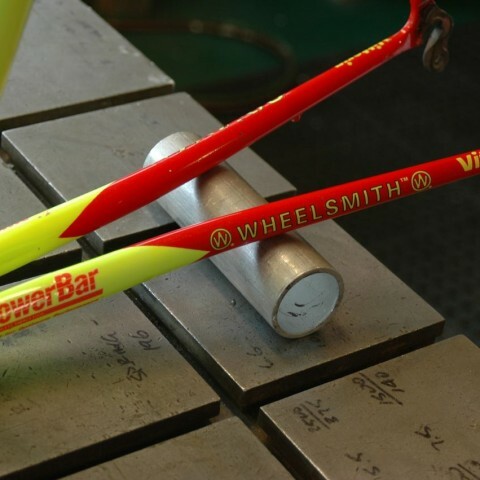 This entry was posted in Bike, For Fun, Musings, Uncategorized. I’m not sure of the year or if this would match your frame but here is a Coors jersey you could add to the ensemble. Very cool – I have a few jerseys already otherwise i’d snap that one up. Thanks for thinking of me! Hey Melvin – I think I can help you out. Email or call and we’ll figure it out. I have two of these amazing bikes which I purchased in 1990 and 1991. One is damaged and the other I’ve been riding regularly ever since. Nothing comes close to the ride quality. Would love to try and get the one frame repaired and riding again.